Something that has been winding me up recently has been the way every time someone mentions the genocide in Gaza, some little fanatic pipes up with how Muslims conveniently don’t see what is happening in Darfur, that we are a bunch of racists and we should put our own house in order etc etc. Whilst I can agree that the Ummah is facing real problems in terms of war and genocide, racism, nationalism and divisions within, I still don’t think that means we cannot speak up about what is happening in Gaza (as some people would like to see happen). I also don’t agree that Muslims are ignoring Darfur as a whole or are refusing to become involved in any way. What I can see though is that a lot of us don’t know enough about the conflict which has affected so many of our brothers and sisters. The links below have educated me and I hope they are of use to others. 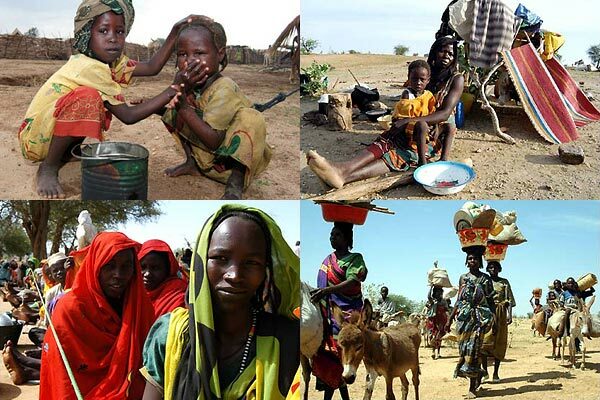 Sami Jadallah’s Blog – Darfur, an Arab and Muslim Shame! As a Muslim I believe that wherever there is injustice we have the duty to speak up, regardless of whether the perpetrators or the victims are Muslim or not and regardless of nationality and race. We should feel pain and outrage for the people of Nagasaki, and Rwanda, those that died in the Holocaust and in Cambodia, as well as the people of Iraq, Afghanistan, Chechnya and Palestine.